Buildings and facilities often experience ingress of water, from areas such as around windows, through expansion joints, and via movement cracks in walls. Internal wet areas such as plant rooms, toilets and bathrooms, and catering or kitchen areas also present a risk. 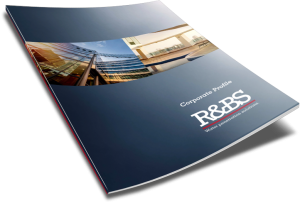 The R&BS team have all the necessary skills to rectify and protect these spaces. We use specialised waterproofing systems to give your building the essential protection it requires. With many modern carparks being located well below ground level, there has been a rapid advancement in waterproof systems capable of handling positive groundside hydrostatic water pressure. Unlike negative tanking waterproofing (which is applied to the inside of a basement carpark wall), with this system water forces up against the waterproofing, which has been applied to the groundside of the wall. The R&BS team will inspect your structure and advise you about whether a positive or negative waterproofing system is right for your situation. R&BS ensures that all specified waterproofing systems are applied correctly, whether they are liquid membranes, bituminous sheet membranes, TPO/PVC membranes or cementitious. This ensures their durable, impervious barrier bonds soundly to your building’s walls and floors. R&BS provides landscape waterproofing solutions for planter boxes, podium landscapes, water features, rooftop gardens and other areas. The soil in garden beds contain salts, fertilizers and other chemicals that can be extremely corrosive. When your landscaped area begins to leak, these substances can have a very serious effect on the structural integrity of the reinforcing steel in the concrete slabs of your building. In such cases we always recommend early intervention, both to prevent further damage being done, and to save you from having to carry out larger, more complicated waterproofing and structural concrete repairs in the future. Our team can organise the entire waterproofing project from beginning to end, including the removal and re-landscaping of the area. Alternatively, once we have successfully waterproofed the area, we can hand it over to your preferred landscaper for completion. Architects and engineers are increasingly aware of the environmental benefits and reduced energy consumption offered by green roofs. But with their obvious advantages comes the need to ensure your building is protected from leaks and corrosion from your green roof. R&BS can provide advanced waterproofing membranes to prevent rainwater and irrigation from affecting the rest of your building. Our waterproofing solutions ensure you can enjoy all the eco-friendly benefits with less of the downsides.